Me: "Have you been to any ZIN™️ Jam sessions lately?" Instructor: "I haven’t seen a listing for a ZIN™️ Jam session nearby". Me: "Did you know that you can host one?" Instructor: "I can host a ZIN™️ Jam session?" M: Jeremy, tell us a little bit about yourself and how you became a Zumba®️ Jammer. J: I am currently working full time as a scheduling coordinator for a dental office. I started teaching Zumba®️ Fitness in March 2013. 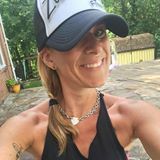 I had lost so much weight attending Zumba®️ Fitness classes, and I wanted to continue and help others to lose weight and be healthy! I have lost nearly 50lbs and built muscle. I am in the best shape of my life and all from Zumba®️ Fitness formats, including Strong by Zumba®️. I have been a ZJ™️ for two years now and cannot believe where it has taken me! Back in high school, I would have never thought in a million years that I would become a fitness presenter. Now, I can’t imagine my life without it! 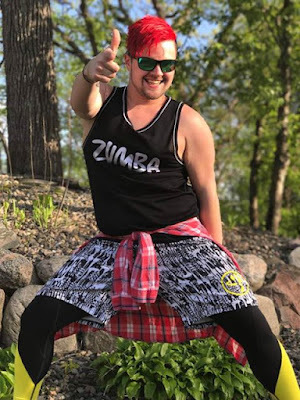 Zumba®️ Fitness has taken me so many places and I have met so many amazing people! Though I do love a good board game and hanging out with friends, Zumba®️ Fitness is my passion! M: Jeremy, there are a lot of folks out there that are not sure how to book a ZJ™️ for their area. Can you share how they would find a ZJ™️ to come to their venue and who can request a ZJ™️? J: Hosting a ZIN™️ Jammer for a ZIN™️ Jam™️ session is super easy! While a ZJ™️ may have hosts they continue to work with in the past, we are never opposed to a new host. That being said, ANYONE can host a ZIN™️ Jam. It’s as simple as reaching out to us via email, text, Facebook message, etc. Many prefer email, and it’s super simple as we all have an email from Zumba®️ Fitness for us to use. Our emails are simply firstname.lastname@Zumbajammer.com. We don’t have a database where you can just locate your area and find who comes to your area. The best is to just ask the community. You can go to your District Forum pages at Zumba.com or your District page on Facebook and ask around. Someone will surely be able to point you to ZJ™️s who come to your area. M: What type of places are you willing to do a ZIN™️ Jam session? Can people just use their GX rooms? J: Venues are pretty open. It needs to have a sound system with typical connections for playing music. We prefer a larger space with an upwards capacity of 40 people (30 people max for ZIN™️ Jam session plus all their belongings). The flooring should be appropriate for a Zumba®️ Fitness class, hard wood, smooth, etc. I’ve had ZIN™️ Jams in a stand alone studio, gym studio, gymnasium, racket ball court; open gym studio. Really, if you have a space that can hold people, let’s chat! All we ask is that we get to use the space for free. And in return we offer complimentary registrations. For my sessions, I give one comp spot up front, and the second one becomes available once we hit 15 registrations. Not saying we are opposed to renting a space, just know that if we do, we become the host and there are most likely not going to be any comp spots given. So definitely getting to use the space for free is the most ideal option. M: How many people does the instructor need to have attend for you to come? J: There is technically no minimum participant requirement, and I have done a Jam with 2 people before. But also know we really want to cover costs for having the session. If we’re traveling to a new area, we may ask that you get some commitment of participation BEFORE we follow through and the session gets posted. The reason is simple, the session is for ZIN™️ members and we want to make sure they can attend! If everyone is going to be out of town on a weekend, it doesn’t make sense to do it that weekend. And we all know dancing with more people is more fun, just like your Zumba®️ Fitness classes. Hosts (usually the gym/facility) and liaison (usually the ZIN™ booking the event) technically aren’t required to do anything else. We ask that you, as a host help share the event, tell ZIN™️ in your area about it, and let people know it’s happening! It is a plus and we hope that you are connected in the community to get the word out about the session. M: Does the host/liaison need to provide housing or travel arrangements for the ZJ™️? J: You are never expected to house them, but it’s always appreciated if you can and helps cut down on our costs for the weekend. Also note, some ZJ™️s may prefer to get their own hotel room, but the offer to house means a lot. I have personally done both. Stayed at a house provided by my host, or someone the host set up, as well as stayed in a hotel. M: Will the host/liaison be required to provide materials or other items for the ZIN™️ Jam session? J: We don’t require you to provide anything else really, but we would never say no if you wanted to go above and beyond and provide simple snacks, water, that sort of thing. Pre-registration is HIGHLY recommended so that we can ensure to have enough choreo note packets for everyone. We generally only print of 1-2 extra copies for walk ins. Let us know if you plan to be a walk-in so that we know to save a packet for you. It’s very helpful! Pre-registration also gets you the playlist a few days before the session so you can start to learn the music. Learning the music is one of the hardest parts of learning choreography! M: Does the host/liaison have to pay you to come to their venue? J: The ZJ™️ is paid by the entrance fee to the ZIN™️ Jam session. The cost of a ZIN™️ Jam session is always $30 for each participant, as predetermined by Zumba®️ Fitness. PayPal is the preferred way to register as it’s all set up on the Zumba®️ Fitness website that way, but ZJ™️s can also decide if the they want to take cash, checks, credit card, Venmo, etc. I personally accept cards through Square, and occasionally get cash if I have a walk-in. M: Why should someone host a ZIN™️ Jam session? J: ZIN™️ Jam sessions are more than just learning choreo. You get to spend time networking with other local ZIN™️, and get inspired! Who knows, you could potentially hear of a place that is hiring and be able to land a class as well! It’s not always WHAT you know, but WHO you know. Networking is SO important. And don’t forget you get Continuing Education Credits for your group fitness certifications, making attending a ZIN™️ Jam session one of the cheapest (and most fun 😉) ways to get your continuing education. Lastly, just remember to keep an open mind, you may discover something you didn’t think you would like, and I promise you’ll have a blast at any ZIN™️ Jam session you go to! These sessions are for YOU, and you better believe we want you to have fun and leave inspired!